After weeks of research and decision making, I finally made up my mind and purchased a DA*55. After my first day of shooting, I noticed a lot of the images were out of focus. Then doing some more controlled testing, I found the lens was back focusing so badly that I couldn't even bring it in using the AF fine adjustment on my K-5. I just loved the rendering and colors with this lens, but had to send it back. I was so frustrated at that point I just requested a refund instead of getting a replacement. Now after doing even more research, I find that this lens is a "hit or miss" to get a good copy. I've seen the images from folks who have a good copy, and they are just fantastic - to the point I am thinking of trying another copy. But before I try another copy, I am doing some more research for possible alternatives. I do not do any portrait work or shoot indoors at all. I want a focal length near 45mm to 55mm to compliment some of my other lenses as I am gradually moving to more primes. In my research, the FA 43 Ltd keeps popping up. I see many glowing reviews and am now leaning to trying it instead of the gamble of another DA*55. For me it is just agonizing purchasing an expensive lens after so much research only to be frustrated with its performance and having to return it - I just don't want to go through that again. So, I know this is tough to answer, especially since I'm not really asking a question here.......I guess my main question is - would the IQ and rendering of the FA 43 be similar to what I saw with the DA*55? Any opinions/comments on these lens is appreciated. Take this for what it's worth (free advice off the internet...). I have both the 43 and the 55 (mine worked properly out of the box). I prefer the 43. It's perhaps a bit less sharp, but it is half the size, and the rendering is every bit as nice as the 55. I think the bokeh is nicer, I find the 55 to be just a little busy, the 43 is quite a bit softer. I'll see if I can find examples from both to post to this thread. I have both, and I think the DA*55 is better. Both are very sharp but the 55 has better contrast, rendering, bokeh, faster and more accurate AF. The only advantage the 43 has over the 55 is size,af speed and better flare resistance. 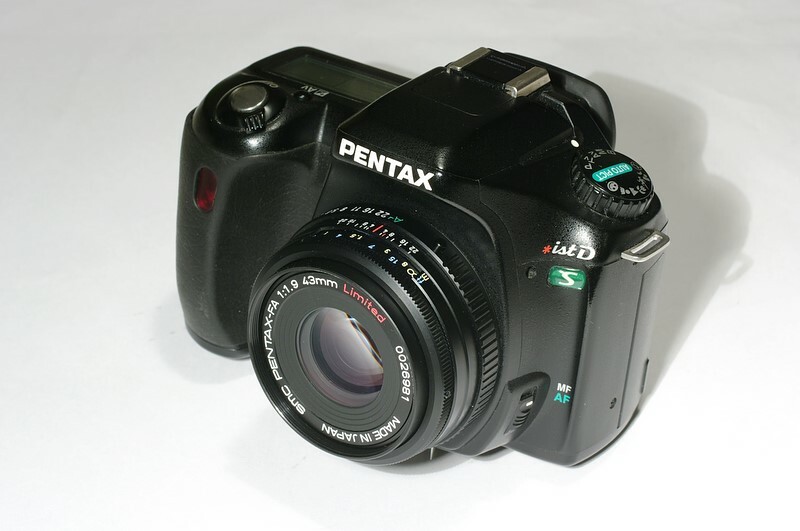 The 43 only has a 8 aperture blade iris, which turns OOF highlights into ugly hexagons once you start stopping down. The 55 on the other hand has 9 rounded blades, and keeps OOF highlights circular even when stopping down( to a degree). Put it this way, if my entire kit was stolen I'd replace the 55 first and the 43 would be replaced last. Last edited by TOUGEFC; 03-09-2012 at 05:54 AM. Getting a good 55 is hit or miss? I haven't seen anything about that, but I'm not exactly looking for it. I just recently commented on a thread where the user said their 55 was probably the most accurate lens they have. Same for mine. It's too bad your lens was a lemon (well... most likely the lens unless it's the camera, but if all of your other lenses are alright, then yeah). Never owned the DA*55, but did some tests between the FA43 & M50/1.4. I can confirm what Wheatfield and TOUGEFC wrote. I have both lenses and my observations are similar. These are different lenses - for me DA*55 is more portrait lens and FA43Ltd is general purpose lens. My DA*55 is OK. AF is very accurate, no problem with SDM. Wow - such great responses! I didn't expect to get so much great feedback and examples. Actually, this is making it much harder to decided between the two. This lens will be used primarily outdoors for scenic shots many of which will be in the shaded forest. 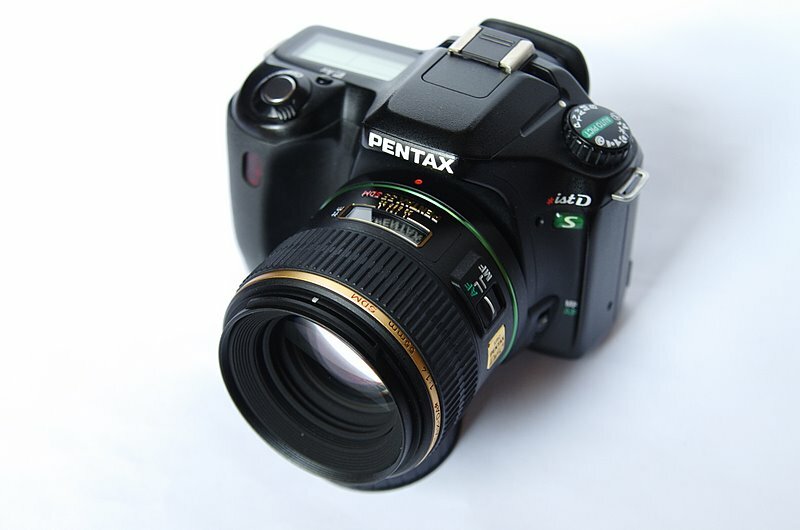 I have a DA 12-24 on the way which will be my wide angle lens, and also use my D FA 100 WR lens in the same situations. The lens I want to purchase will fit in between the 12-24 and 100. Contrast and rendering along with sharpness are the most important to me. I use my gear at home on my property 99% of the time, so size/bulk of the lens is unimportant. Actually, I liked the feel of the DA*55 as I have big hands and also have my grip attached to my K-5. The examples that Piotr posted are great - it helps me see the slight differences of the two lenses. From my perspective of the examples, I like the rendering of the DA*55 slightly more. But in some of those examples, the FA 43 gives a more natural look. I'm not quite sure why you are comparing these two lenses for scenic shots - for landscapes per se. then a 24 or 28mm is the best FL as they have virtually no distortion compared to wider FLs. Both are cut-your-throat sharp (look at the sample from the 43 below - including a 100% crop ... and there's movement in that shot too) ! The 43 has been described as one of the best 3 lenses ever made in Pop Photo (the 77 and 31 being the others) ! With both being great lenses you really need to take a much closer look at your intended use and take it from there. Thanks for questioning my thought on focal length Frogfish - I need these questions asked as I am not totally sure. My main reason for choosing a 43mm or 55mm is to fill a gap. I am slowly progressing to more prime lenses, and right now I am going to be doing this to replace my DA 16-45 lens. I have a DA 12-24 on the way which would take care of the wide end for me. From there as far as a prime lens, I jump to my D FA 100, I want something ~50mm +/- to fill the gap between the 12mm-24mm and the 100mm. The one day I had the DA*55mm I liked the focal length with my brief walk around with it. My intentions for this lens is not so much for landscape (the 12-24 will suit me for that I think) - this is more for capturing small areas in the forest such as a section of a small creek, small rock formation, or a small section of ground cover (ferns etc). Edit to add: I'm glad you asked this - I am going to take a walk now and do some test shooting - I'll set my 16-45 @ 35mm (also thinking about a 35mm lens) and also set it @ 45mm, then take my 55-300 set @ 55mm. This should help me be sure of a focal length. Last edited by stormtech; 03-09-2012 at 09:11 AM. Why not run an exposure plot against your current photos? I really enjoy the 43mm...the funny thing about that is I love the focal length both when attached to my pentax cameras or to my Oly e-p1! You could always pick up an e-p1 and an adapter for under $200 easily. Note that when on the e-p1, the 43mm basically has the same equivalent focal length of the 55mm on aps-c (so for me it doubles as both lenses, seriously!). For what you're describing I think the 43mm is going to be better suited. To my the standard 50mm has always been a little too tight for general use, adding that extra 5mm makes it feel like a true portrait lens. For outdoors/landscape detail photography 55mm to me is either not quite wide enough, or not quite long enough for practical use. The 43mm to me would strike a very good balance between the 12-24 and 100mm macro you've got in your kit (when I go out usually it is with the 15mm, 43mm and 100mm macro, makes a great small kit...sub in the 12-24 for the 15mm and you're even better off at the expense of some size/weight). Thanks pxpaulx for your additional input especially about 55mm being a bit tight for what I want. Well I was out for a bit and did some testing in the woods where I want to use this lens. I used my 16-45 at different focal lengths. I shot @ 24mm to simulate my incoming 12-24, then also shot @ 35mm and 45mm. I must say that I never realized how much of a difference there is between these 3 FL's. In my first run through my images, it actually looks like 35mm will suit me better. Seems to be just right in my real world tests in the woods shooting some stumps and small evergreen trees (~3' high). Now I feel that I wasted everyone's time asking for a comparison of the 55 and 43 lenses - it now looks like I will be looking at the 35mm lenses. Then the exercise wasn't a waste of time in the slightest and so much better to do that and get the right FL than make an expensive mistake. Last edited by Frogfish; 03-10-2012 at 03:44 AM. If you do find yourself interested in the sigma 30mm f1.4 send me a PM, I'm going to be selling mine sometime soon (bought a year and a half ago to replace the panasonic 20mm on K-mount, but I'm going to back to the 20mm, miss it too much for its size and slightly wider/general all-around focal length). Ultimately what I find using primes is when you get to learn them you start having the shot in mind more easily, like, I've got this lens on, so I'm gonna try such and such angle, etc, etc. If you're carrying a couple of them, you start to anticipate what you'll want next too, I quite like having a nice small set to choose from!